Same birds as on Pink Floyd "Cirrus Minor" from "More"-Soundtrack, I'm pretty sure. Starting out in Turkey or, rather, Turkiye! How do and happy Thanksgiving, Joe and all! @Guido, hope those birds retired rich on residuals! Happy Thursday, everybody! @Guido: Same birds on the Kinks' "End of the Season," too, I think! Good morning everyone. Any snow? Any Ersen? Think I can arrange that, Jack. Not the snow. wait, did i just see a Joe McGasko balloon on tv, the t'giving parade??? happy holiday to all! Joe, you remind me on my stack of Turkish singles to be digitalised. I hope 'till XMass I'll manage to do it. @herb: Yes, that was me with the big ears. @Guido: A worthy project! Send me a copy! Happy Turkey, Joe! Been diggin' your premium I scored during the silent fund raiser! Fab sunshine pop comp! Nice job! Thanks! be sure to get one! Haha yes! Turkey today after all. Superb. Joe! SUPER start! Wish I could continue listen, but must go cook for client in a house where your wonderful music is not appreciated. 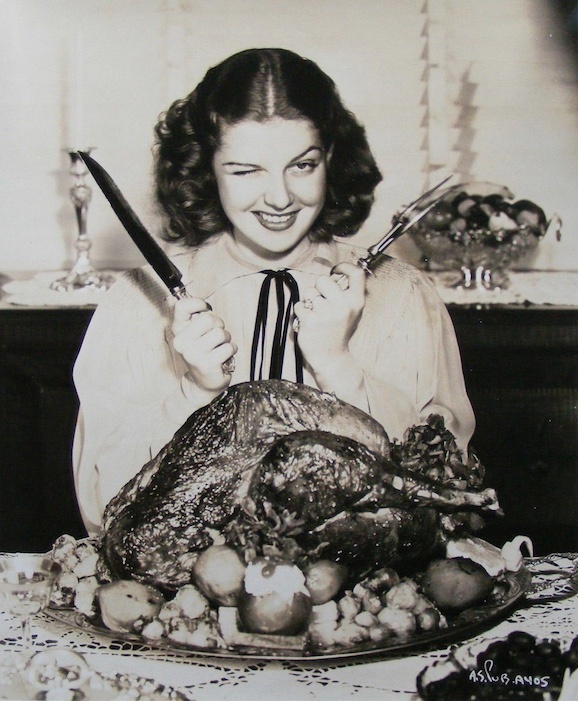 Happy Thanksgiving &/or Thursday, everyone! Thanks for checking in, Holly! Have a fab day! I hope you get to have something for yourself. hi everyone! lovely to see so many people here! morning Joe! You could call it the German equivalent US-American Blues. Imagine we had a platin selling artist (Yüksel Özkasap) living here in Colone, unknown to most Cologne residents. you a funny guy Joe! Hey Joe. Blast, missed the Turkish section. Oh, Man. This all-Turkish show is gonna be a good 'un. Looking forward to this. :) You're a trip, Joe. Happy Yipsgiving, all. Today's Poughkeepsie Journal is heavy as two Sunday papers. Joe, you could probably make a pretty Seuss-like poem with your ch- and ck- sounds. @frenchee: Ha ha! Rob or Tamar would do a much better job of it, I'm sure. In Turkish cuisine, mashed potatoes are actually called 'potato puree' or 'patates püresi' (pah-tah-TEYS' puer-EH'-see). @frenchee: I have nothing against potatoes, just so everyone knows. In fact, I support them. I'm used to be a regular visitor to Turkish restaurants and cannot remember to find mashed potatoes on the menu. Ana y Jaime, well, that's super cool ! I heard The Fates for the first time on WFMU yesterday or the day before. It turns out to be a project from Una Baines who was in the original lineup of The Fall. @CWE: Sorry about cutting 'em off like that, but luckily Una and pals are getting a lot of airplay here. I hereby give thanks for Eleanor Rigby. @Ken: Hee! Maybe I can help you out there, let's see what happens! @ Claw! Anyone play "Turkey Song" by The Damned yet? Hear hear, Ken! We need some Eleanor up in dis! Something about Peter Yarrow reminds me of turkeys. Good TZAG Joe and urbody! Good looks on playing Bohannon, this is my jam right here! My girl Eleanor is the house! But it's Saturday. Why is Joe on? @Roberto: It's Saturday for 3 days in a row! Attending a Thanksgiving dinner this evening, then driving to Va. for Thanksgiving. @KP: Sounds nice. You should have some Thanksgiving after that. I recently happened upon a flock of vultures in Princeton. @KP: Drive safe & enjoy! Never heard this Cochran song! I'm thankful for you Joe--Cheers!! john Lennon's Cold Turkey isn't for Thanksgiving. Maybe for the hangover after? have a nice, peaceful day, to all. Hi, Meghan, Chop Scott, FXO! Thanks for saying hello on this quiet morning! I hope you all have wonderful holidays! Joe, Thanks for entertaining us on Thanksgiving! Happy Turkey Day, Joe! Happy Turkey Day to ALL! Hungover from playing pool with college kids all night. Cuz apparently me and my brother are 19 years old. Thanks, Greg, James, Pierre, Guido, all. I give thanks for all of our wonderful listeners. Happy Thanksgiving Joe - from Kim and I (southbound presently and pleasantly passing through Rocky Mount North Carolina). and we thank you in return Joe, you made this hectic afternoon of mine a whole lot bearable. @Brendan: Aw, thanks for checking in. Happiest of days to you and Kim! @pierre; Glad to hear it! I'm feeling for the folks around the world who aren't on holiday today. And thanks, phat! Enjoy the solitude! Greetings and Happy Thanksgiving from L.A., Joe. All mammals present and accounted for. Keep those mammals in line, fleep! Thanks, and all the best to you, too. Joe, you got to get yourself to Istanbul. @Brian: I got to get myself anywhere! But Istanbul sounds like a good place to start. Joe just sent you a photograph. @Brian: I love the lyrics in that song, so true. Dark already over here 4:30. Murky, wet & miserable. @Brian - that sounds icky. It's super clear and sunny here...the drawback is that it's like 0 (-10 windchill)! Was this recorded by Rosemary originally? Adrian I would prefer crisp & sunny. How's it holding up. Bad day today? @Brian: It's an Andy Roberts number, I believe! @Brian - I'm with you on the crisp/sunny front. Growing up in Michigan, we saw the sun maybe twice every winter? Hya Joe. Just popping in for a minute to say I'm glad to be spending a piece of my TG with you. Safe travels, drive carefully, and savor every bit of your time at home. I'm in the homestretch of couchsurfing, at least....only a few days left until I have my own place again! Thanks so much, Parq--Best to you and your family! I have difficulty grasping Thanksgiving. @adrian: Something to be thankful for, certainly! Don't drink n drive, y'all. Think I need me some hot chocolate and hot buttered toast. that sounds lovely Brian - enjoy! @BrianUK: We're 'American' - & we overstuff our faces & get real lazy - w/ a background patina of Puritanism & Religious gratitude. Clay Pigeon! I just LITERALLY gasped! Happy Thanksgiving, Joe, Clay and everyone! now he's at white castle! Hi Joe!! I'm listening to you on a REAL RADIO in my kitchen! sorry it's about over. anyway happy holidays! Saying hi to Clay, too. Sounds like he's planning to make a day of it at Monty. My DJ is in a Thanksgiving State of Mind. I'm about to switch over to the MST3K Marathon– everybody be safe and thankful and warm and awesome! Hey, Faye! Great fill-in last night! Enjoy your Thanksgiving! And all of you, please have a safe and happy holiday! I'm off soone! thanks Joe! it's been yet another wonderful Thursday morning with you! Thanks, Joe, and be well, all!! Thx - great stuff !